Universal Credit has been a shambles logistically with no one knowing when different stages and aspects of implementation will happen; even when dates are announced for roll-out it has been partly a reputational exercise for Ian Duncan Smith and less to do with reality. As part of the Unite Community National Day of Action - Thursday March 19th - our members have opted to highlight the arrival of Universal Credit in 11 London Local Authorities. Universal Credit aims to combine Housing Benefit in a single payment with other benefits, where at the moment you can claim HB with the Local Authority even if you are sanctioned by the DWP. Unite Community is targeting the following Job Centres from 12-2pm, which already have the highest numbers of sanctions in their respective Local Authorities. These are: City Tower; Dagenham; Ealing; Enfield; Hendon; Hounslow; Poplar; Shepherds Bush; Walthamstow; Wandsworth; Willesden. If you would like to get involved in these protests, please contact Robin Sivapalan here. The change to Universal Credit will affect many poorly paid housing workers and many of our members. The change to Universal Credit also fails to address the real crime of in-work benefits; namely that it subsidises poverty wages by employers. All members should be organising with colleagues in their workplaces to ensure that everyone is paid a real Living Wage, wherever they are based. Given the vast surpluses and reserves held by housing associations, there is even less excuse for poor pay within our workplaces. Please see our Pay Up! 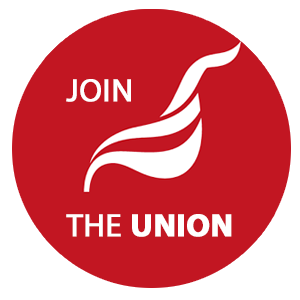 campaign pages for pay claim resources (scroll down and click on the News and Resources links), or contact Branch Secretary Suzanne Muna if you would like to discuss how to go about submitting a pay claim.